At Hustler we try to keep things simple. So if it doesn't help mow grass, it's not on this machine. 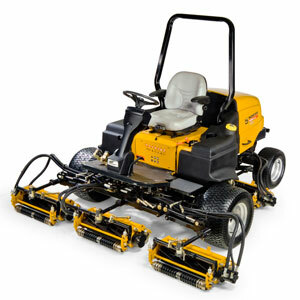 The result is a lightweight fairway mower with minimum electronics and fewer problems. 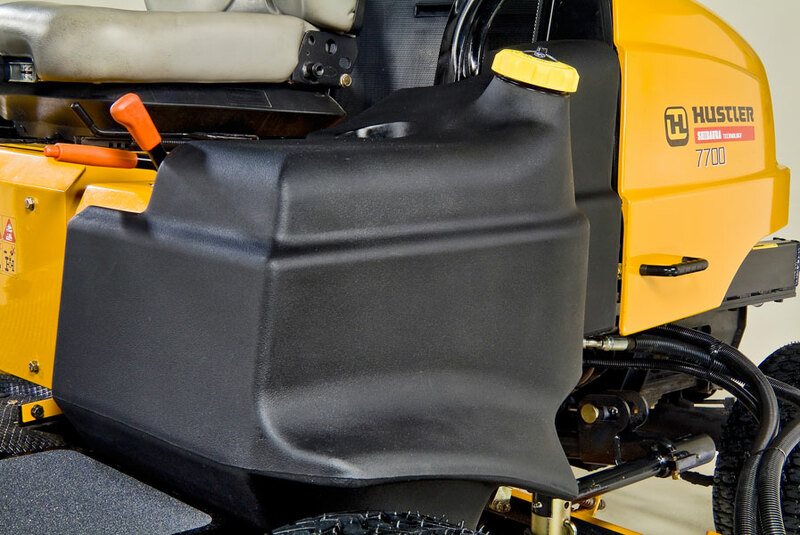 The Hustler 7000 series is not only easy to maintain and operate, it delivers a superior quality of cut for a beautiful finish. 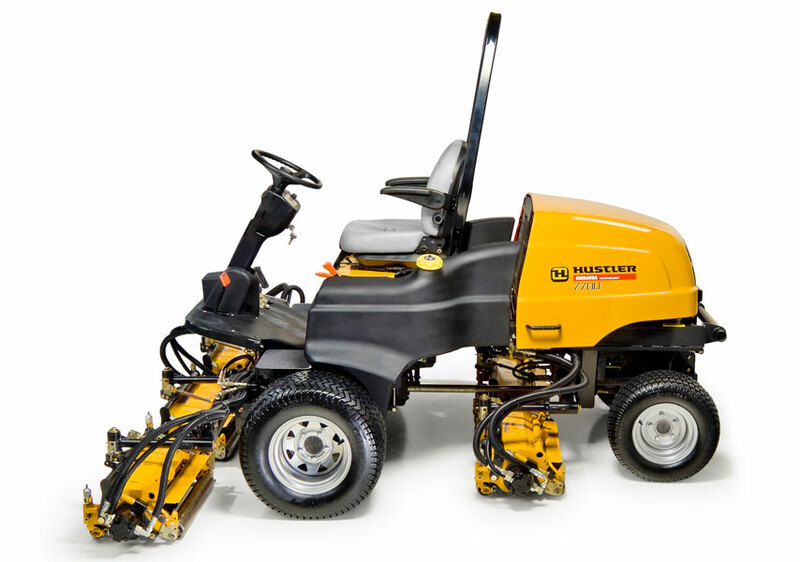 These mowers also feature full-time and auto four-wheel drive with a tilt and telescoping steering wheel for added operator comfort. 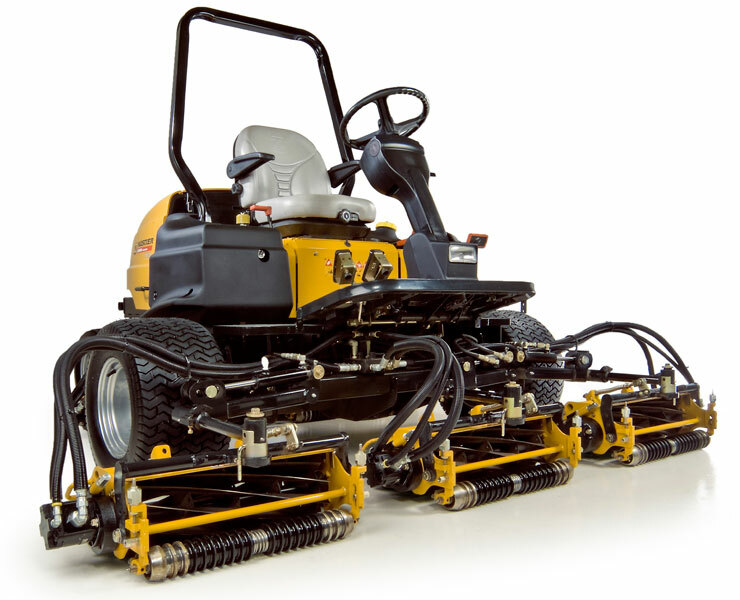 Maintaining your beautiful golf course and your equipment has never been so simple. - Minimal electronics for improved reliability. 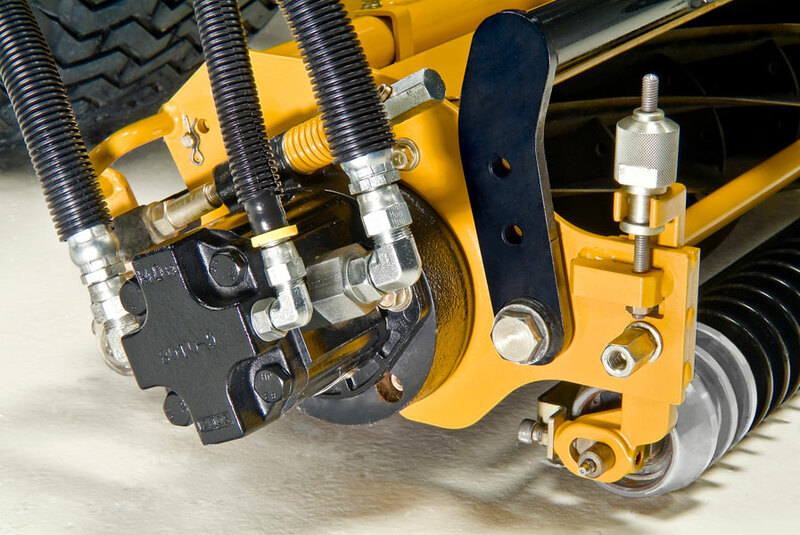 - Individual reel motor shutoff valves for backlapping convenience. - Front or rear clipping discharge convertibility on both 5 inch and 7 inch diameter cutting heads. 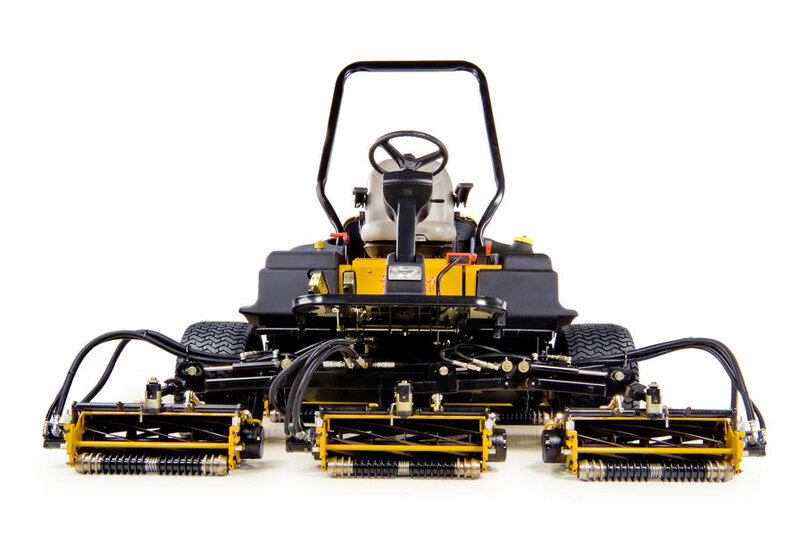 "I am very pleased with the performance of our Hustler 7700 Fairway mowers. Exceptional cut while dropping our fuel costs by 33% over our previous units. 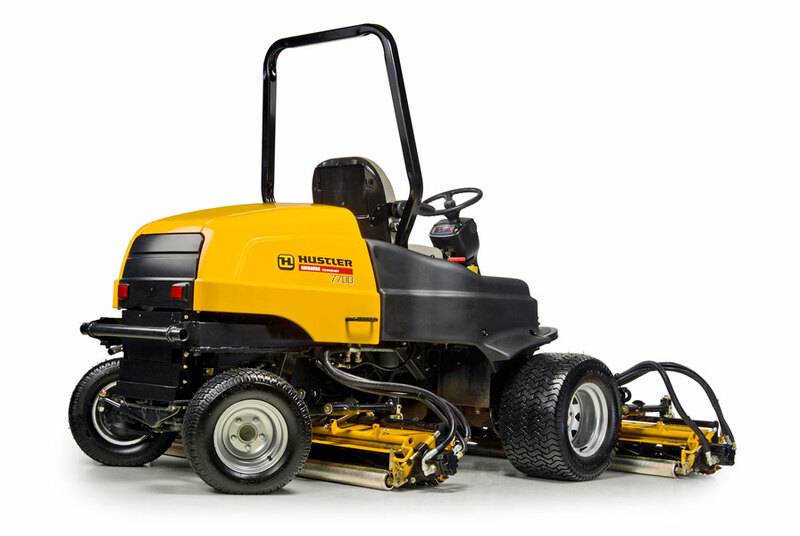 On top of that, the service and attention that our dealer and Hustler Turf Equipment has provided us is second to none."